One of the chief imports of Northern California is former Harvard undergraduates and MBAs who flock to the Silicon Valley to change the world. The arrival of Facebook’s founders set the storyline for other alumni teams, including the three Harvard friends who reunited to form Clever, a fast-growing San Francisco educational technology startup with a mission. Tyler Bosmeny, a 2009 Harvard grad with an MA in statistics, arrived in the Bay area first to work for a software company. He says he soon acquired a serious Silicon Valley attitude. “Anything in the world that seems broken, you can fix it,” as Bosmeny phrases it. Meanwhile, his Harvard friend Dan Carroll was in Denver learning all about “broken.” He’d been put in charge of educational technology at West Denver Prep, and the teachers were eager to use exciting new learning apps like Dreambox Learning with their students. But Carroll’s department faced a barrier that’s surprising in this plug-and-play era. The teachers had to spend hours manually typing in students’ data to create individual accounts for them with each third-party learning program they wanted to use, Carroll told Bosmeny. It was a pervasive problem in US schools, Carroll found—a bottleneck that mired the each technology project in significant delay. “School districts measured this in a number of weeks or months,” Bosmeny says. The Harvard friends, who had loved computer learning programs like Mathblaster as kids, started thinking about solutions. 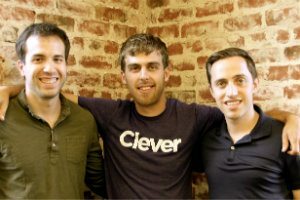 Fast-forward to summer 2012, and Bosmeny, Carroll, and their Harvard classmate Rafael Garcia were at the tech incubator Y Combinator in Mountain View as new co-founders of Clever. There they started to market their technical fix for the missing interface between schools and educational program developers. Think of Clever’s solution as a sort of IT Lego adapter. This was the problem: There are plenty of digital learning applications such as Algebra Nation for schools across the country to choose from. But there’s no standardized database where schools keep student records—it’s a product category that’s fragmented across a hundred vendors, Bosmeny says. That means app developers such as Dreambox, Algebra Nation and Khan Academy often have to work with each school’s IT department—or teachers themselves—to acquire student data to create accounts. To break that barrier, the Clever team developed a computer platform that extracts student information from school databases of all kinds, and automatically feeds it into the account set-up systems of the educational program developers who are its partners. Clever had signed up a thousand schools by the end of its Y Combinator session, and now serves 20,000 kindergarten through 12th grade schools in the United States. Clever provides the service free to schools, and charges educational app developers between $6 and $25 per school per month. The startup currently partners with more than 100 edtech companies, including Google Apps and Houston, TX-based non-profit Reasoning Mind, whose programs teach math and critical thinking skills. Reasoning Mind external affairs executive Andrea Foggy-Paxton says she expects that the new partnership with Clever will help the non-profit save substantially on the cost of getting new schools started with the math skills program. The ease of creating student accounts in bulk could also overcome resistance from people who believe the use of digital learning in classrooms is unworkable, says Foggy-Paxton, a former program officer for the Bill & Melinda Gates Foundation, which supports educational technology. Clever itself is scaling up, thanks to a recent Series A round that yielded $10.3 million from lead investor Sequoia Capital and individual backers including Y Combinator founder Paul Graham and Y Combinator president Sam Altman. 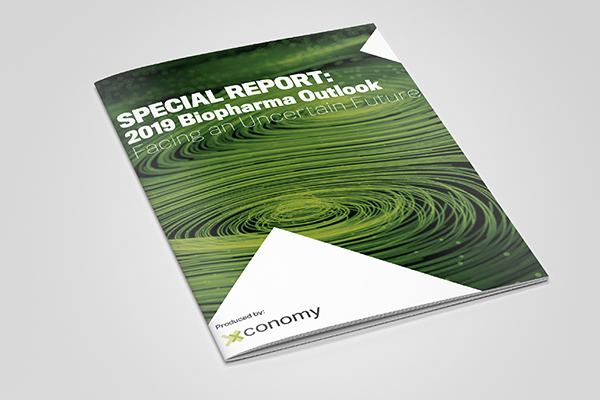 The financing follows a $3 million seed round in 2012 from investors including Google Ventures, software pioneer Mitch Kapor, and actor-tech investor Ashton Kutcher. Bosmeny says the latest infusion of funds will be used to enlarge Clever’s staff of 25 to meet demand and maintain levels of support for customers. Beyond that, Clever has just unveiled another service called Instant Login, which will allow students to sign on once to a Clever page and then move freely among all their different digital learning apps without further, separate sign-ons. For more than a year, schools including Bret Harte Middle School in the Oakland, CA district have been beta-testing Instant Login, and the new feature will be available to all schools in July. More than a dozen educational developers have committed to supporting Instant Login, including Dreambox, Code.org, Achieve3000, and Reasoning Mind.